Pandora, Seabold, Whistler, Lila, and Tiny have all been enjoying the love and comfort that being a family brings. It is a comfort they are unexpectedly reminded of when Whistler and Lila hear the cries of a lonely baby beluga whale named Sebastian. 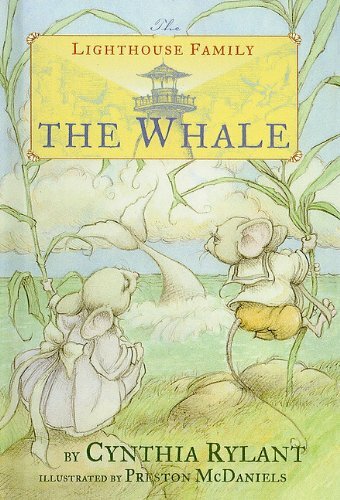 When they learn that he has lost his mama, the Lighthouse Family, with the help of a cranky but noble old cormorant named Huck, does all it can to bring Sebastian and his mother together again. Cynthia Rylant is the author of more than 100 books for young people, including the beloved Henry and Mudge, Annie and Snowball, Brownie &amp; Pearl, and Mr. Putter &amp; Tabby series. Her novel&nbsp;<i>Missing May</i>&nbsp;received the Newbery Medal. She lives in Lake Oswego, Oregon. Visit her at CynthiaRylant.com.